51 left in stock, Hurry! 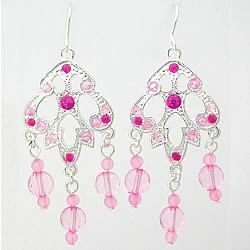 FASHIONABLE PINK Dangle Earrings Measures approximatley 2" Silver Plated Price is for a pair. You will receive 2. They come on a black Earring Card Holder ready for display.